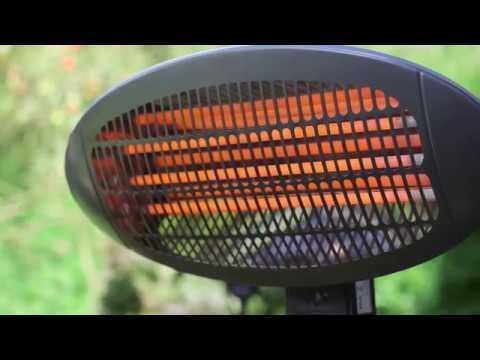 Keep warm when outdoors with this powerful, 4000W gas table top patio heater from Garden Glow. If you enjoy relaxing in the garden, then this patio heater will help you to make the most of outside spaces even in the evenings when the temperature drops. The powerful heater has a variable heat control dial, allowing you to choose the level of warmth needed without wasting energy. Choose from a power setting up to a maximum of 4000W, perfect for keeping you warm on cooler evenings. Constructed from highly durable stainless steel and aluminium, this heater is sturdy and safe and comes complete with a flame screen and heat reflector.